American publishing executive and CEO of Forbes, Inc., Steve Forbes foresees economic disaster should the United States government refrain from re-adopting the gold standard. Forbes criticizes the Federal Reserve’s loose dollar policy after several sessions of Quantitative Easing and prescribes a return to a strict gold standard as the cure to our economic ailments. 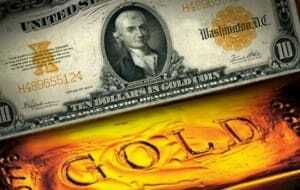 Economic prosperity can only be achieved if the dollar is linked to gold in order to ensure a stable, consistent rate. Forbes writes, “The best way to achieve monetary stability: linking the dollar to gold.” Forbes presses for constraint of the Federal Reserve and the regulation of its monetary policies. Linking the dollar to gold will stabilize the value of the dollar and prevent further disintegration of its global prestige. Although the numbers may say the United States has recovered from the 2008 financial crisis, America still has a long way to go to restore the economy back to its pre-crisis prowess. Former U.S. Secretary of the Treasury Larry Summers commented on the economic status of the United States in his introductory remarks at the 20th edition of the International Economic Forum of the Americas in Montreal, Quebec. Summers believes the problem now lies in the lack of demand, saying, “The burden will have to shift to private investments and fiscal policies.” Our economy needs stimulation in order to catalyze demand, and public spending on infrastructure is a crucial step to such stimulation. Summers also touches upon the growing income gap and how it is hurting the overall economic recovery. Although figures show that our economy is recovering, the income for the top 10% of earners has risen significantly whereas the income for the rest of the country has fallen over the last few years. Summers believes that by the time the U.S. economy fully recovers, one out of every seven Americans will not be working. Contributing factors to this economic inequality are expansive globalization and technological developments, according to Summers. With more highly technical jobs and diminishing lower skilled jobs, such as in the digital sector, this gap will only increase. All in all, Summers emphasizes that a balanced economy is necessary in order to maintain comprehensive market stability. Gold culture in China differs significantly from that of the Western world. For evidence, look no further than the ads that the Chinese government’s national broadcaster, CCTV, has been airing, which encourages citizens to invest in precious metals. It’s a testament to the cultural significance of gold in China, and because of its importance to the Chinese, demand for gold from ordinary citizens continues to skyrocket. And that demand only figures to grow, as China’s middle class, already numbering 300 million, is projected to grow significantly. In 2013, China experienced a 93% jump in physical gold demand. This rising demand could trigger a potential global shortfall, as demand may exceed supply. With this growing demand and consumption, more and more people are questioning: How is global supply going to keep up with demand?